Is this the same Coilybella that speaks against extensions? Yes! It is she. Okay before I get crucified by the "Natural Hair Police", I feel like I need to explain myself. I have been very bored with my hair lately which has led to excessive manipulation of my hair. 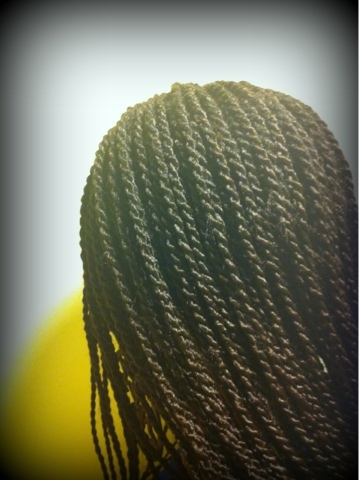 To curb that "hand in hair" disease, I decided to put my hair in some Senegalese twists. In case you don't know why I have shyed away from extensions, it is because, I am protecting my hairline. I was actually going to braid my own hair but did not have enough energy and motivation for it, despite watching tons of videos about Senegalese twists on Youtube. Here is a list of things that helped me get comfortable with the braiders. I brought my preferred styling product, which was Jane Carter's "Nourish and shine" to the braiding shop.They were going to use this" Let's jam conditioning gel", but I said "no"
I expressed how big I wanted my hair parted , especially around my hairline( surprisingly, they listened). My hair was in general, parted big as I did not want a lot of braids. Also, I believe in the "strength in numbers" concept, which has helped me in my hair journey. The bigger the parts are the less stress my hair will have to endure. I did not allow them to "clean" the braids once they were done. 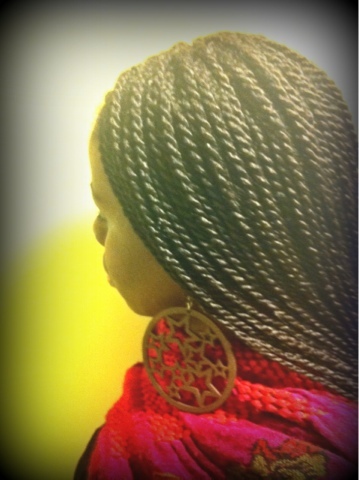 Basically, they trim off any extra hair sticking out on the braids to give it a clean look. I was scared that my own hair may be sticking out and trimmed off. In general, I had a good experience. I was finally listened to. Most importantly, they are not tight at all. I will not be styling these braids because I am still protecting edges. Any unnecessary pulling may recede the hair line. Extensions are drying so I am using Shea Moisture Moisture Mist daily to saturate my braids especially on my natural hair( In my opinion, the ingredients are natural, so I ignored the Terrenssential company). I apply a little bit of castor oil to my edges. I wrap my hair with a satin scarf at night.. I use two shower caps to protect the braids in the shower. Most times when I am home , after spraying my moisturizing spritz, I use the Greenhouse effect to get moisture down into my natural hair. I wear a plastic cap on top of my head for hours or overnight to get this effect. I am not sure of the wash routine yet or how that is going to be done but once I figure it out, I will make a post about it. I will be keeping these for only six weeks. Thanks sis. Actually if you look really close, my hair shows a little bit so I have to keep my hair moisturized and oiled to make my braids look neat. I think you did all the right things. You made sure the braiders did things they way you wanted, and you are focused on taking care of your hair while in the extentions. That's the way to go! By the way, the last time I used the Terressentials I didn't use any leave in, and just sealed with coconut oil, and my hair was so soft! Thank you Dear! I tried my best to make sure that my hair is protected from rough handling. I am so glad that you mentioned this about Terressential. 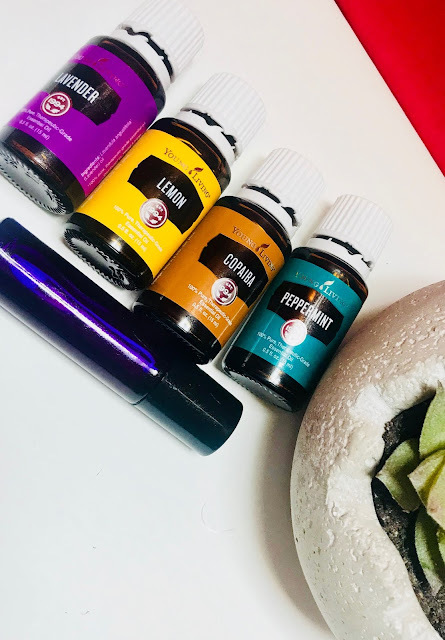 I have been searching for anyone who has used it without using a leave in. Hmmm, coconut oil huh? I will try that when my braids come out. What do you think of Shea moisture products in regards to the Terressential Mud Wash? I feel like the Terressentials and Shea Moisture products can be used together, since Shea Moisture ingredients don't have silicones or anything. Thank you sis. Honestly, I felt like I needed to explain myself and I should because I do not want to mislead anyone, especially those with fine hair that follow my blog. those look really nice. can you pls take some pics of the front? i want to know how big the parts are in front 'cos my edges are fragile as well and that has frightened me off braids unless i do myself which is a pain. thanks. Thank you Dear! I will take pics of the front. I was so tired and at work( I work overnight) when I took those pics, so I did not want to show my tired face. It sounds like, before you moved forward to get the braids, you gave this style a great deal of thought. 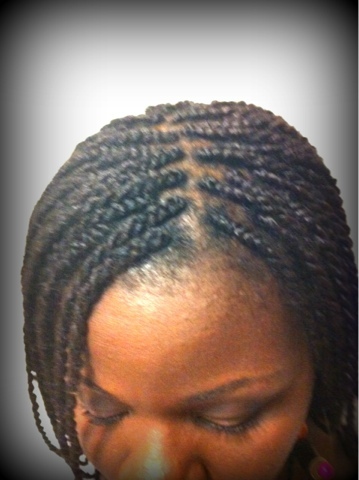 You also took control of your own hair experience by actively directing the braiders so you got the results you wanted. Good for you! I hope your hair gets the good protective rest that you hope for it. I really like your braids! You don't need to justify why you got them. They look really good on you and you did your research and got really good results. Good job, Tinuke. You recognized a problem (over manipulation) and took steps to fix it. And I'm glad they respected your requests. The braids look strong aren't stressing your hairline. Actually, they look strong but are not. I just edited a video discussing them.You will see how light they are in the video.